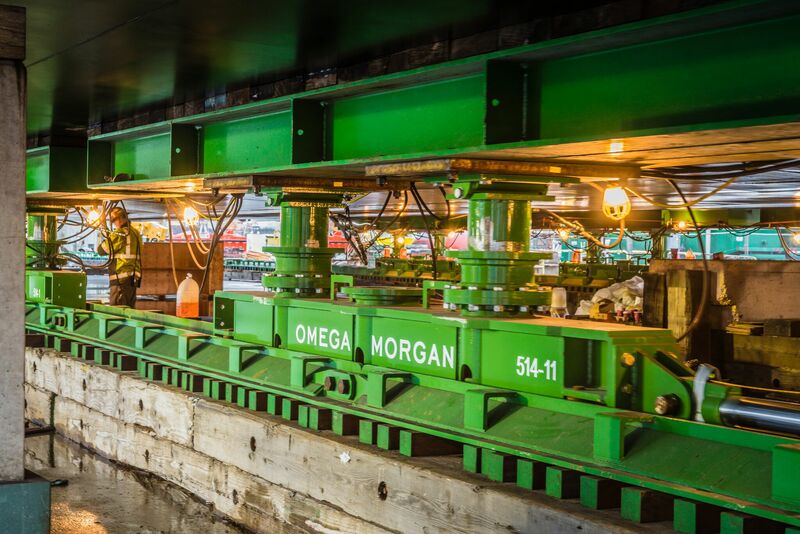 In a recent tank barge transportation project, the Omega Morgan team managed the move of a completed tank barge from its build way to dry dock. Without any compromises to safety, we customized a solution that allowed our team to move the barge approximately 750 feet over land in under five hours. Omega Morgan was commissioned to assist with devising and implementing a plan to transport the Fight A.L.S. tank barge from our customer’s build way to a dry dock where the barge could be prepared for its eventual launch. 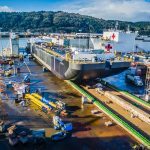 The barge transportation project’s size required us to dispatch a twenty-person crew, a dedicated project manager, and an onsite engineer to ensure the move’s safe completion. The project manager, Don Hansen, has extensive knowledge in the marine and construction industries. Our engineer, Ralph DiCaprio, is a naval architect, highly trained in designing structural systems to transport marine vessels. 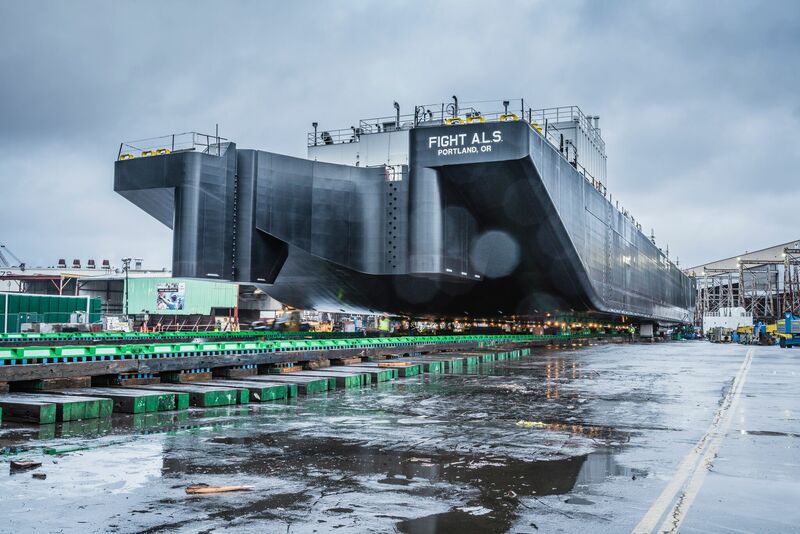 The Fight A.L.S tank barge is 422 feet long, 78 feet wide, and 27 feet deep. 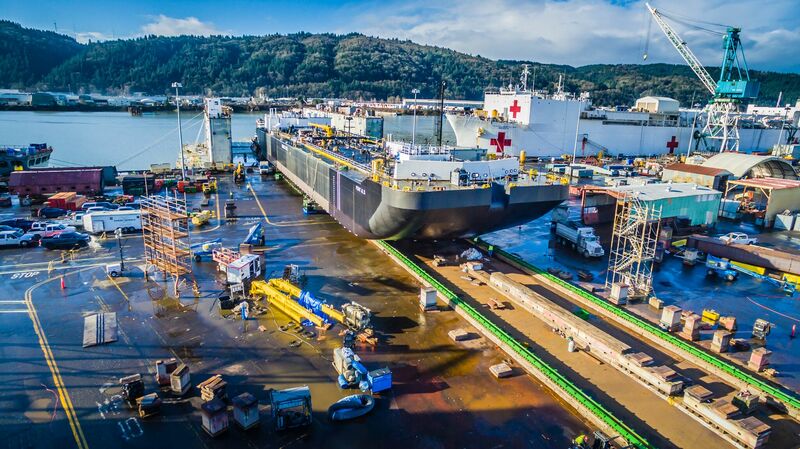 Safely transporting this double-hulled tank barge that weighs 4,000 tons (the equivalent of 800 African elephants) 750 feet over land required detailed planning and cautious engineering to devise a system that would evenly distribute the barge’s weight during the move. The key to all successful moves of this magnitude lies not only in careful execution, but also in exhaustive planning and engineering. 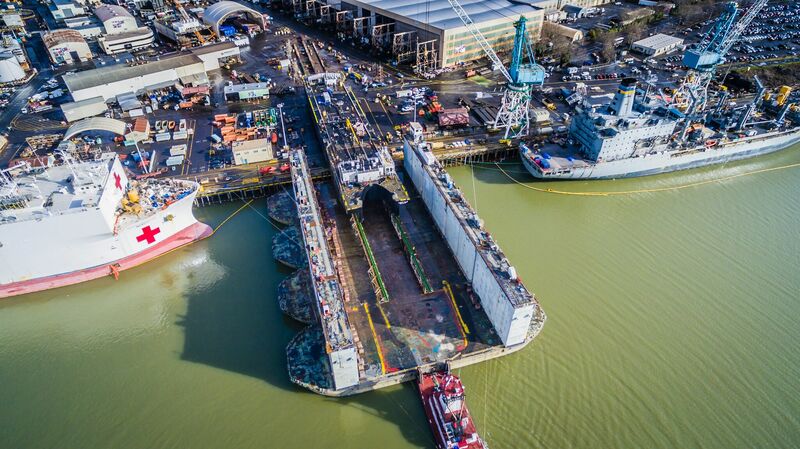 Any barge transportation project of this size involves high risks. The safety of everyone on site is always paramount. We must also avoid damaging any nearby structures or equipment during the move. We also needed to consider every conceivable factor and potential hazard in developing failsafe strategies to manage the project from start to finish. Once the move was set in motion, adjustments would be difficult to make and cause unwanted, costly delays. Our project management team went through an extensive initial planning phase to design an effective barge transportation system that worked to move the barge safely and efficiently over land. Five days prior to the move, our crew arrived on site to set up and prepare. 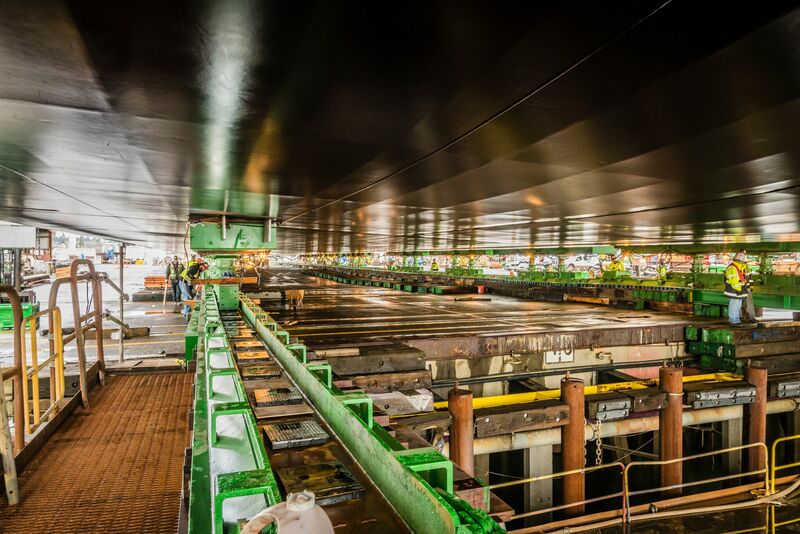 They configured and assembled a jack and slide system, crafted to be long enough and strong enough to accommodate the barge’s exact dimensions and weight. The setup required about 1,500 feet of rails (two lines of 750 feet). We added thirty-two 300-ton hydraulic jacks and multiple skid shoes to increase the system’s capacity as needed. After the jack and slide system was set up, we ran checks to ensure the system was safe and secure. Fight A.L.S. was then ready to be loaded for transport. 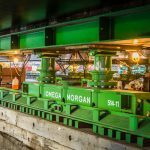 We began the move using hydraulic jacks to lift the barge from its blocking. The crew then used push-pull cylinders to move the barge forward on the slide system. Fight A.L.S. 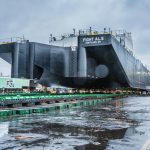 was quickly and safely slid across land 750 feet from its build way onto the dry dock. 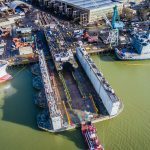 The shipbuilder ballasted the dry dock to keep it level as we transferred the barge across. Once in place, the barge was disconnected and chained down for safety. We complete the entire move in under five hours with no issues and no delays. Disassembly of the jack and slide system took another three days. 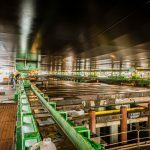 This barge transportation project shows how our team’s custom designed solutions result in time and cost savings for clients. A key benefit of the type of skid system developed during this project is that our operators don’t need to stand at the power packs in order to complete the move. The system is operated entirely by remote, which we used to carefully navigate the 750-foot path without any issues. Implementing our skid systems versus traditional hydraulic platform trailers for this specialized transportation move required less time and fewer materials and equipment rentals to mobilize, which translated to an overall cost savings that we passed on to our customer.